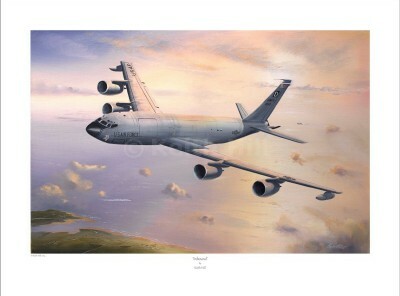 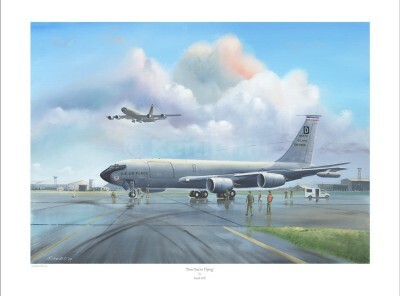 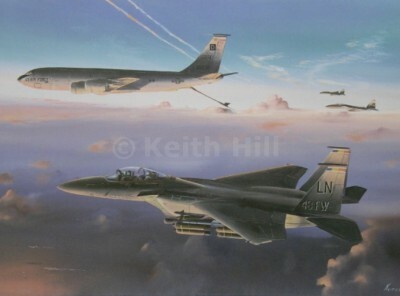 KC135 of the 100th Air Refueling Squadron, at RAF Mildenhall. 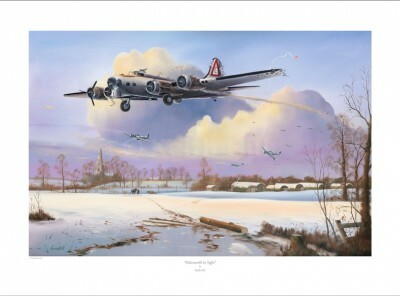 In winter of 44/45, B-17 ‘Mary Alice’ flies low over a typical English landscape on her way home. 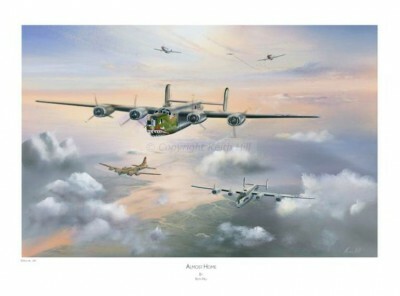 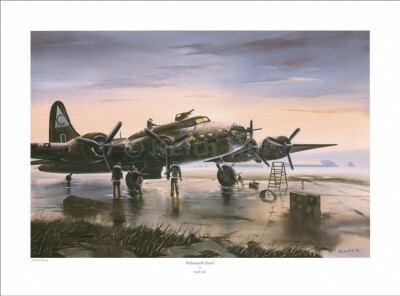 ‘Mary Alice’ was assigned to 401st BG and flew from Deenethorpe airfield, Northamptonshire. 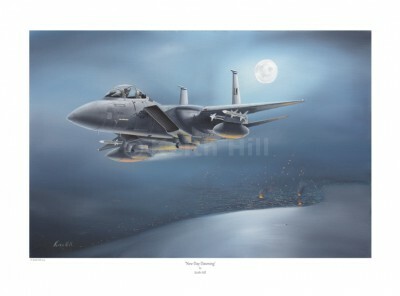 She was named after the pilots mother! 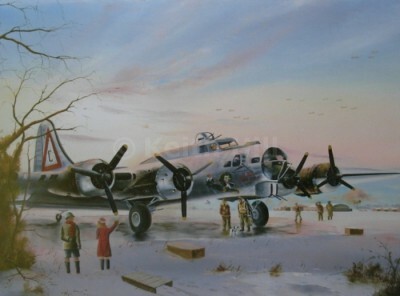 As dawn breaks over RAF Molesworth, B.17 ‘Hells Angels’ of the 303rd Bomb Group, is prepared for its next mission. 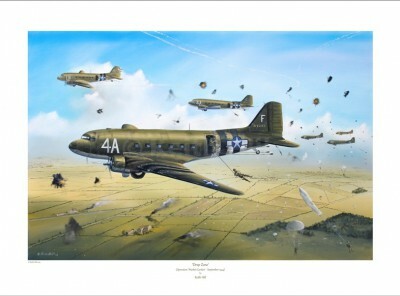 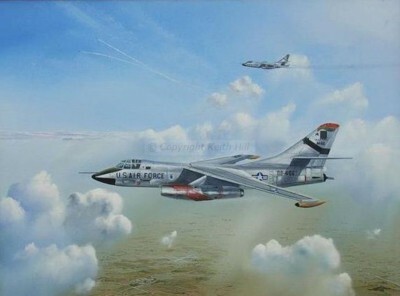 This aircraft was the first in the 8th Air Force to complete 25 missions. 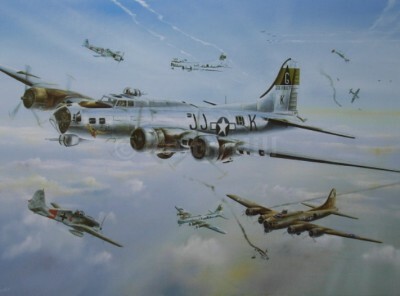 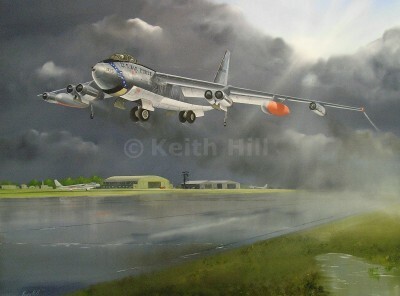 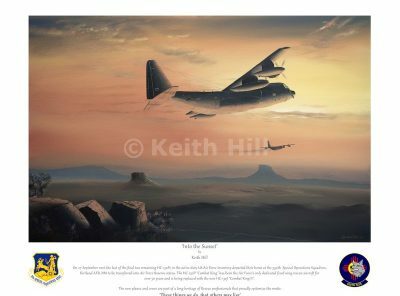 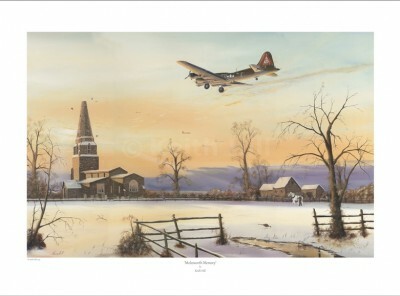 Keith’s signature Molesworth painting of a 303rd BG B-17 flying over Molesworth airbase in a typical English winter landscape with the Old Weston church in the distance. 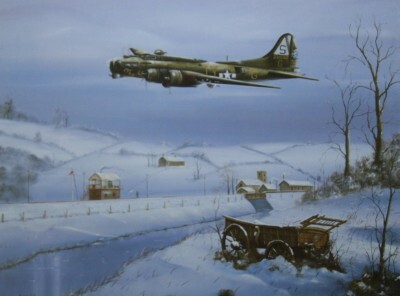 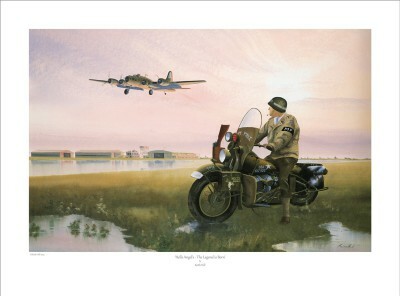 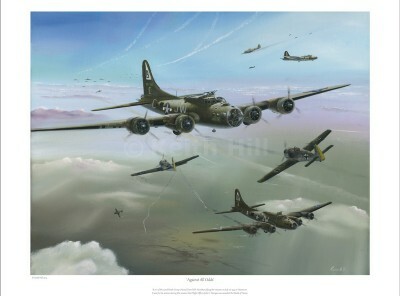 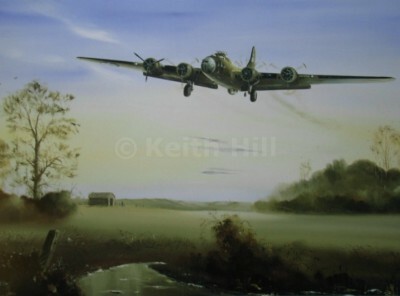 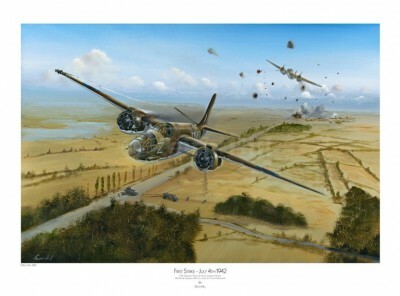 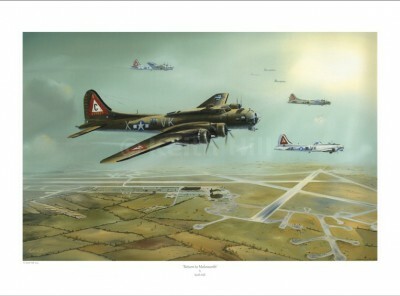 Into a typical English winters landscape a B-17 of the 303rd Bomb Group, from RAF Molesworth returns from a mission to Germany. 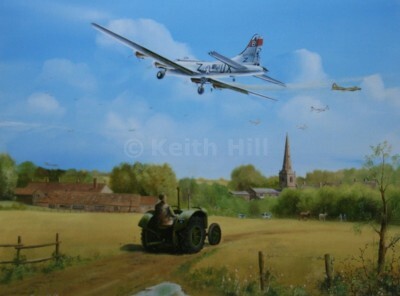 In the foreground can be seen Old Weston Church. 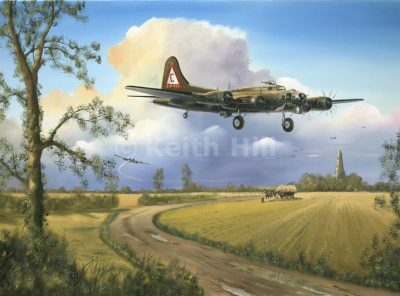 B-17 Flying Fortress 'Old Glory' of the 303rd Bomb Group lands at RAF Molesworth.